Help demonstrate a commitment to the advancement of underrepresented minorities in business by donating to the Bryant-Brummell Business Award! 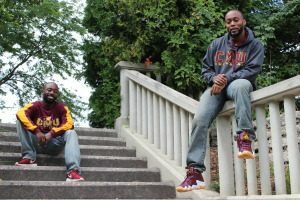 Sheldon Brummell and Julius Bryant shared a vision years ago while sitting on the couch in their Tallgrass apartment at CMU. 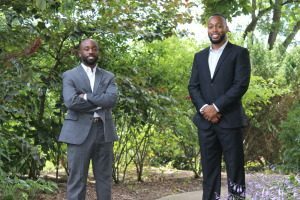 They had one of many conversations surrounding their wishes to give back, and to help pave the way for students like themselves who demonstrate a commitment to the advancement of underrepresented minorities in the business profession. In 2013, that vision came to fruition through the foundation of the Bryant-Brummell Business Award (3BA). Now, Sheldon and Julius are asking for your help! It is the aim of both Sheldon and Julius to grow the dollar value of the 3BA to make an even greater impact on students in the College of Business. Your contribution, no matter how big or small, is tax deductible to the fullest extent of the law and would be greatly appreciated by both Sheldon and Julius, as well as the hard-working student(s) awarded. The more donations, the larger the scholarship will be, and every dollar donated will go directly toward the cost of the awarded student’s education.